Kicking off the new school year! It is hard to believe that we are fixing to start school again! I feel as though we just let out for the summer break. I got notified of the classes that I am going to be teaching this fall, and am excited to build those, but it’s time to pull my curriculum out for my kids too! I have been putting off preparing their notebooks. I have everything, I just need to make the copies of what we are going to be working on, get all the books that we are going to be reading out loud and boom.. we can start! As we prepare to kick off our school year, I am making plans to visit Gettysburg. We have to have an awesome field trip to start off our year, and these kiddos are ready to go! All I had to say was, “I am thinking about a field trip” and they had their bags packed. While we contemplate the logistics of the trip, I have kept them busy digging through some books looking at the history of the site, and why its been preserved. There have been some questions that I was not prepared for, but I am glad to see that they are taking it seriously enough to open their minds to the entire conflict. We have had several discussions on when you are researching history, you cannot look at only one side. There are three sides to every story, and two are recorded. The third is open for interpretation, where we can go back using the two sides and knit together the fabrics of cause and effect. As we get ready to crack open the books, we first have to visit the library. Reading is a very important part of learning, and I am hoping that through books, I can encourage my boys to pursue what they are interested outside the school room. They are beginning to show their independent sides when it comes to what they want to read, and what they want to spend more time with. I am thankful for the library, as their literary preferences are all over the place right now. One of them is interested ONLY in books that deal with the military, whether they are on his reading level or not (mama gets to help read these as long as they are appropriate for him), and the other is very interested in stories that deal with animals. The Bad Kitty series has been a huge favorite, and I think he has read most of them at least twice. I am thankful to see that the interest in books is growing, but my poor husband is beside himself with the amount of books that we are bringing into the house. I have a massive home library (the perk of being a historian and delving into research of different types), but we have recently started getting rid of some books that we have read. I keep ones that can be used for future research, favorites or signed copies from authors, but my kids have turned into massive book hoarders! I find them under mattresses, under the beds, in the bathroom, and most oddly, the refrigerator. You never know where a book might appear next! This school year is definitly shaping up to be one that we are going to enjoy! I am excited to see that they are excited to begin school this year. Last year you would have thought that I was signing their death warrant when I brought out the school books. I got them a little more involved this year with the planning, and the outlines of what we were going to cover and I think that was a turning point with them. Being able to see the entire picture did more to excite them than just handing them their notebooks! Who would have thought!? 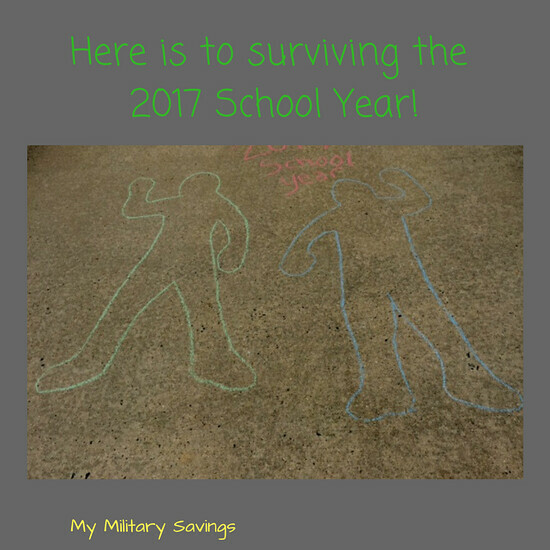 How are you planning to kick off your 2017 school year?? « Spring into our September books!